1. 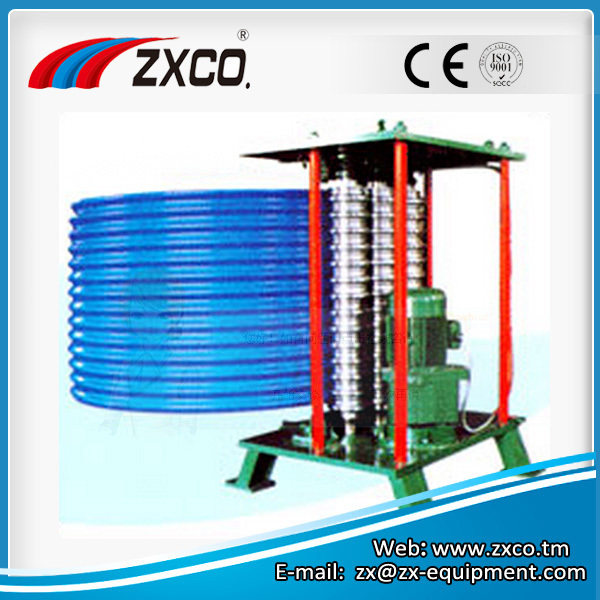 Materials Color—coated steel coils / Pro—coated steel coils. 2. Profile of Press: C×(0.4～0.8)mm, C is the width of Corrugated sheet already produced. 6. Machine Size: 1000m×900mm×1200mm (Length Width Height). This bending machine makes small—span curve for designated profile roof panel. Such curving panel saves roof purlines and steel frame, and lowers cost accordingly. Moreover, the curving roof is strong and durable, and looks beautiful and fashionable as well.